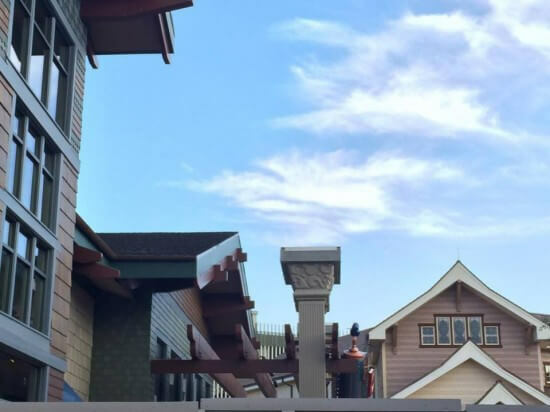 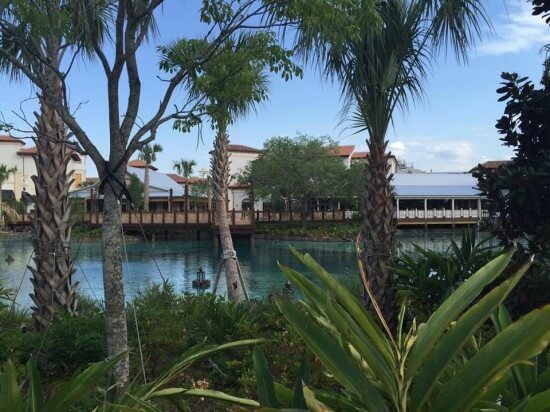 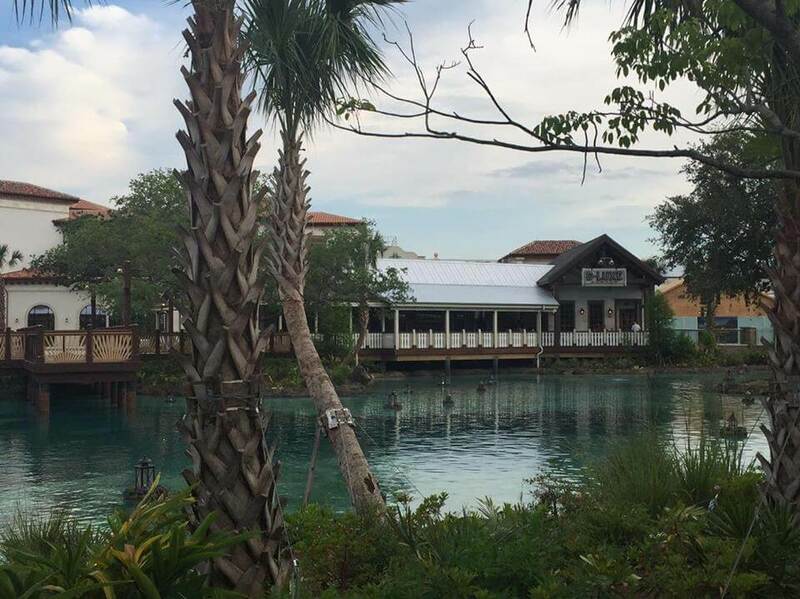 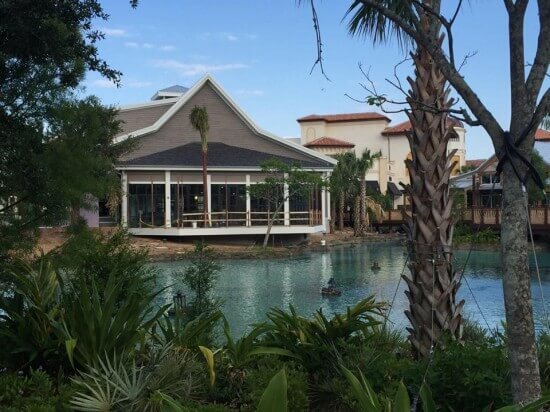 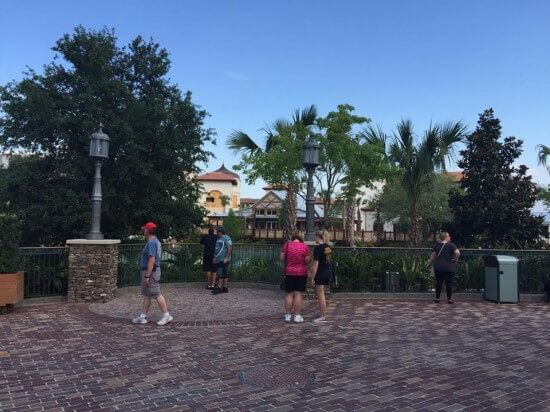 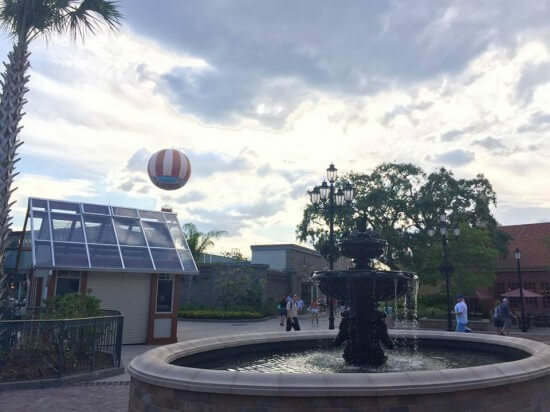 Today in Disney Tidbits we are checking in on the ever-evolving Disney Springs that is opening a whole new area, Town Center, this weekend. We also took a sneak peek at the ongoing construction in The Landing area and some new Disney merchandise. 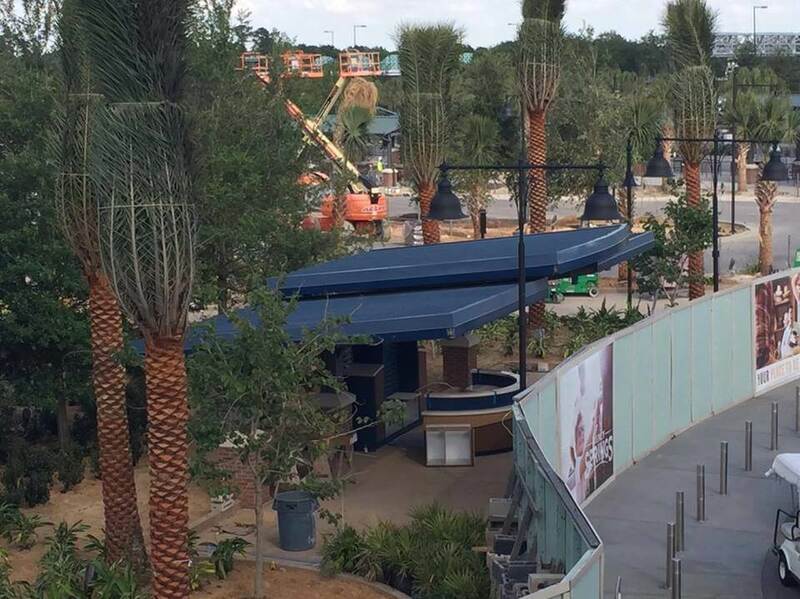 The Disney bus stop recently got some finishing touches with palm trees and information station. 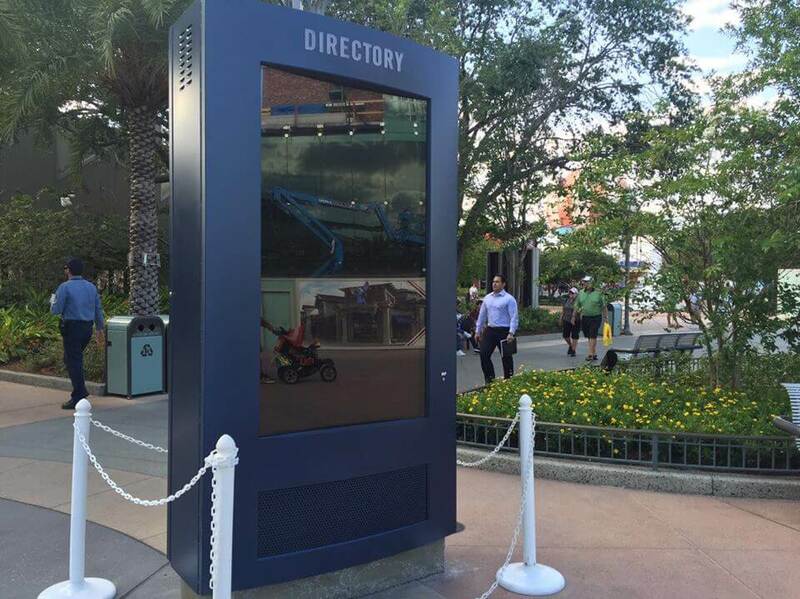 New directory signs have now popped up all over Disney Springs, surely to help when the new area opens. 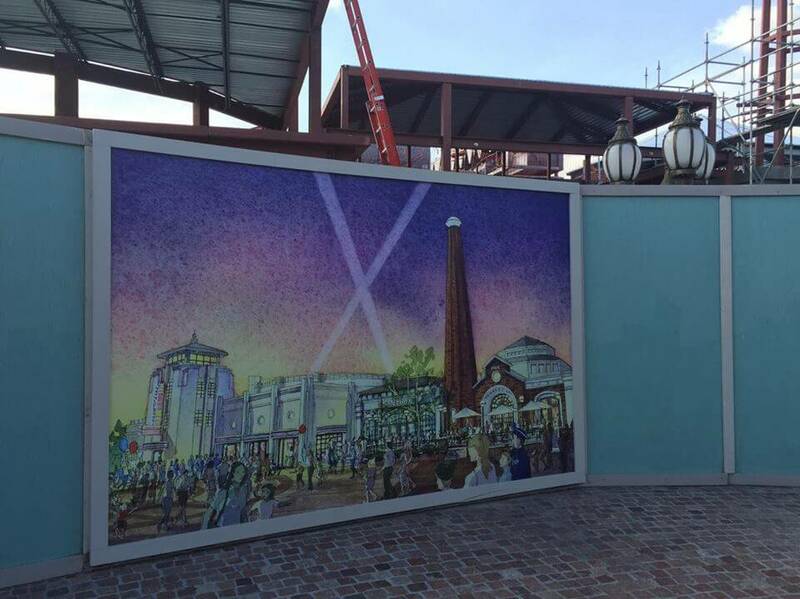 The Coca-Cola store entrance starting to appear. 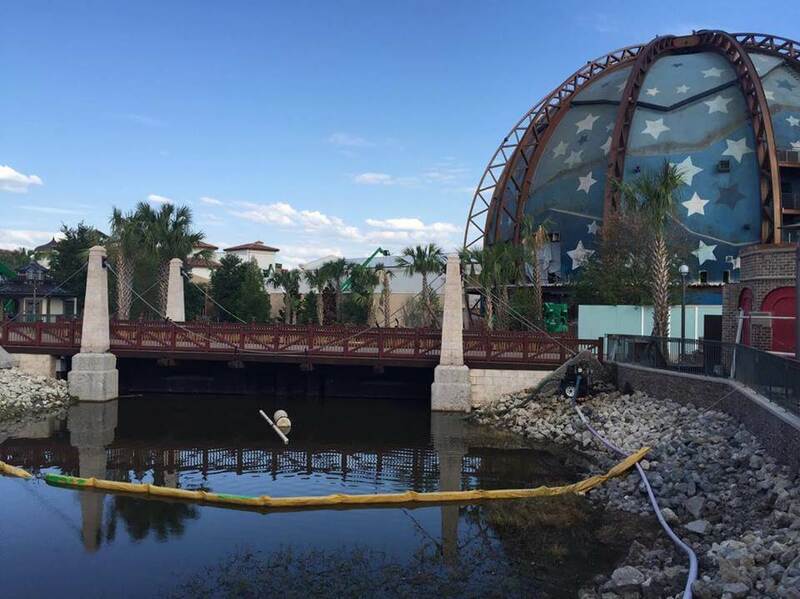 Planet Hollywood Observatory construction is moving a bit slow. 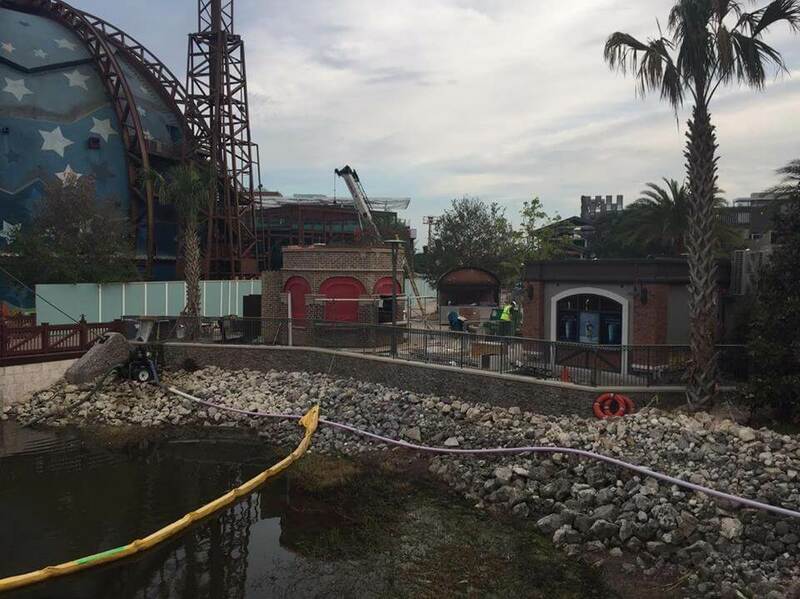 The area between STK Steakhouse and Planet Hollywood Observatory is now visible as walls recently came down. 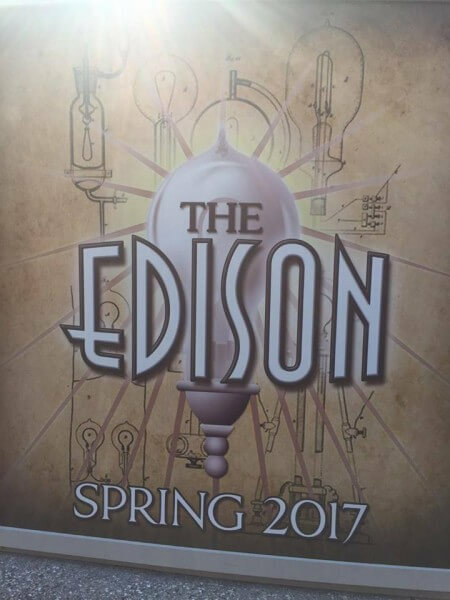 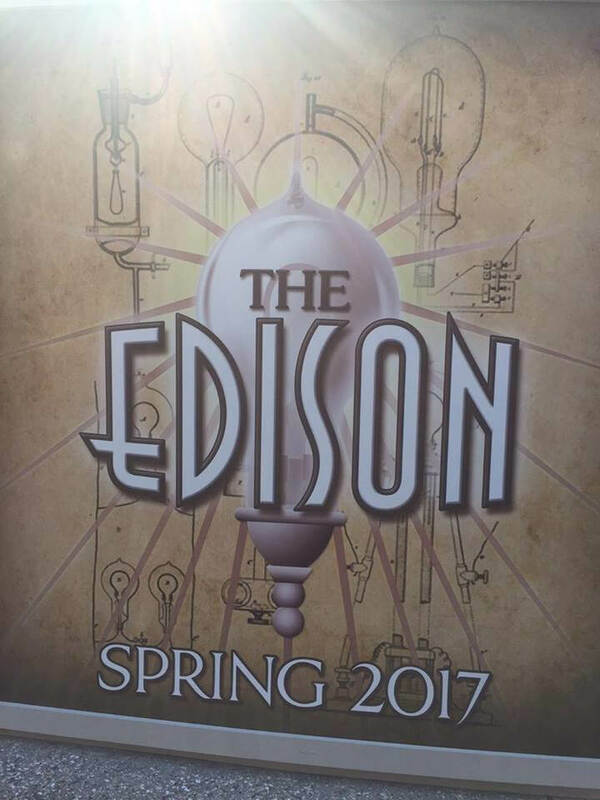 New posters have showed up giving us a new look on The Edison opening Spring 2017. Lots of walls have now disappeared around the new Town Center area and the lots of guests are excited. 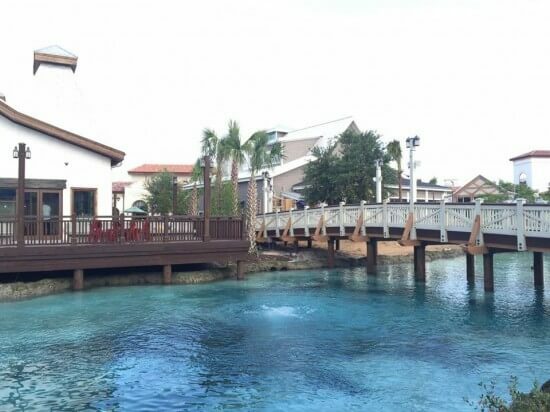 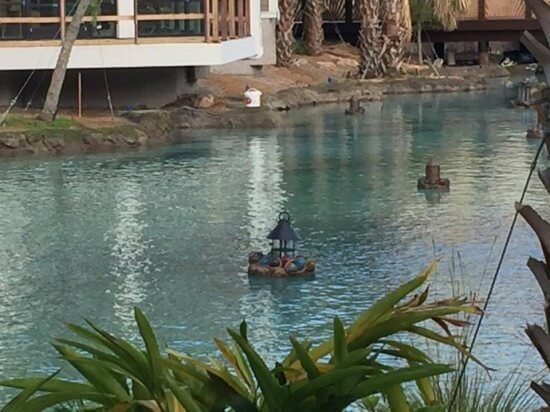 The crystal blue water has received some small lanterns that will most likely be illuminated at night. 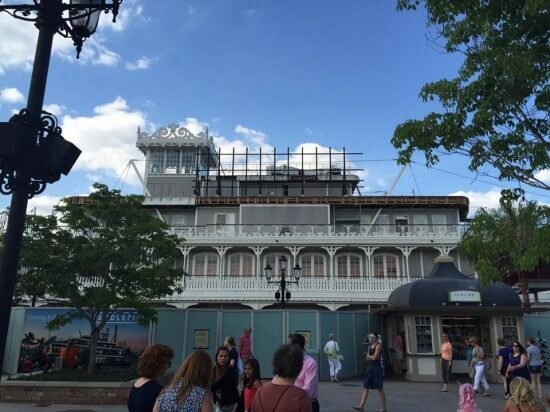 Even though the area will open on Sunday, May 15th some buildings still seem to have some work needed. 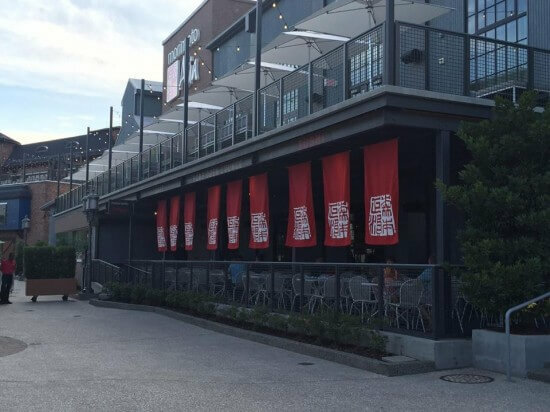 D-Luxe Burgers restaurant is one location opening on Sunday and it has a real nice outside patio. The Morimoto Street Food location is also opening on Sunday. 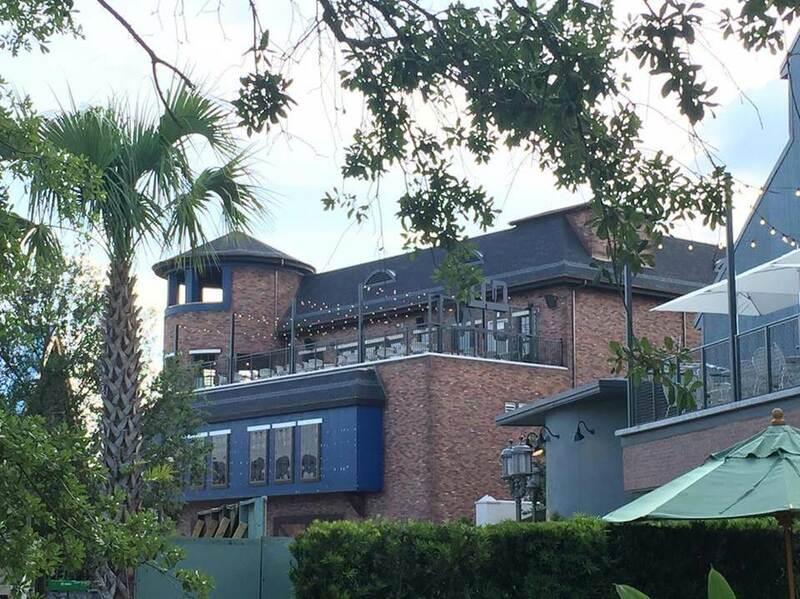 STK Steakhouse will have some rooftop dining. Reservations just opened up for May 25th. Here’s how the area looks facing Raglan Road. 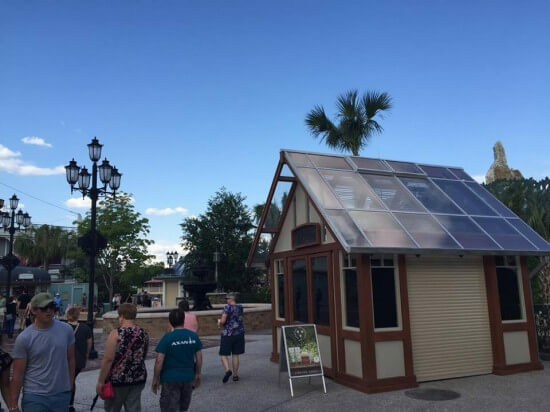 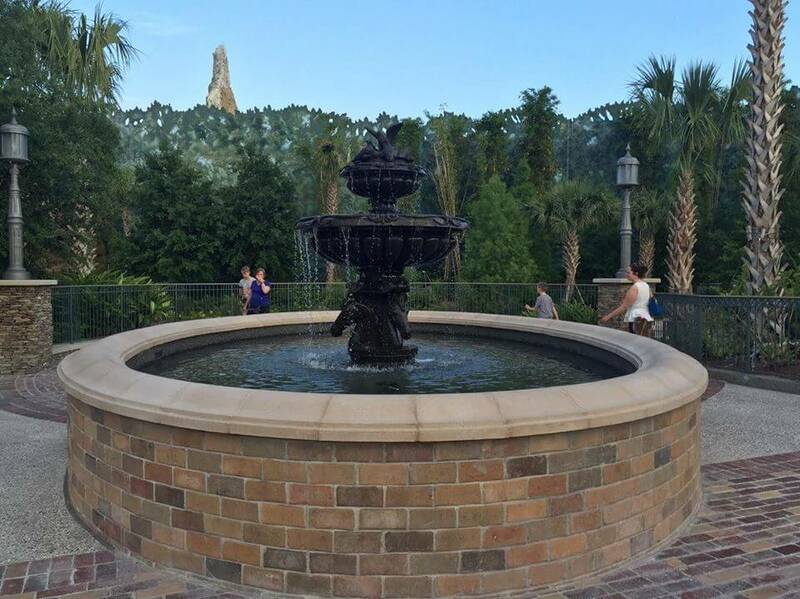 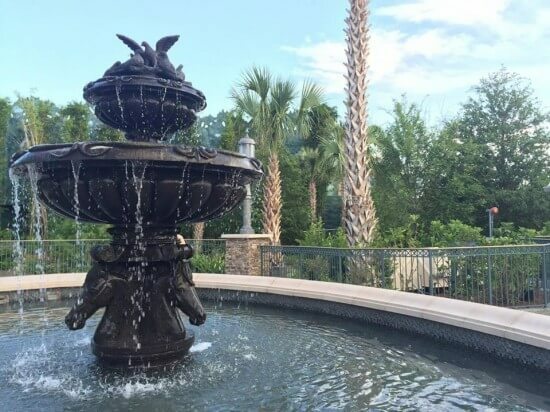 Over in the Landing section of Disney Springs, two new store kiosks and a beautiful fountain have been revealed. The Fulton’s sign is now gone as it gets transformed into new restaurant Paddlefish. 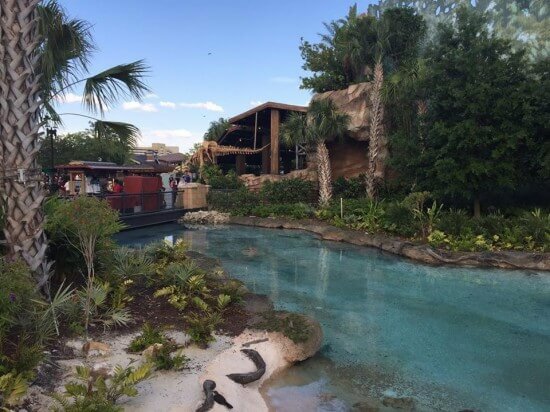 The crystal blue spring goes all the way down to the T-Rex restaurant. 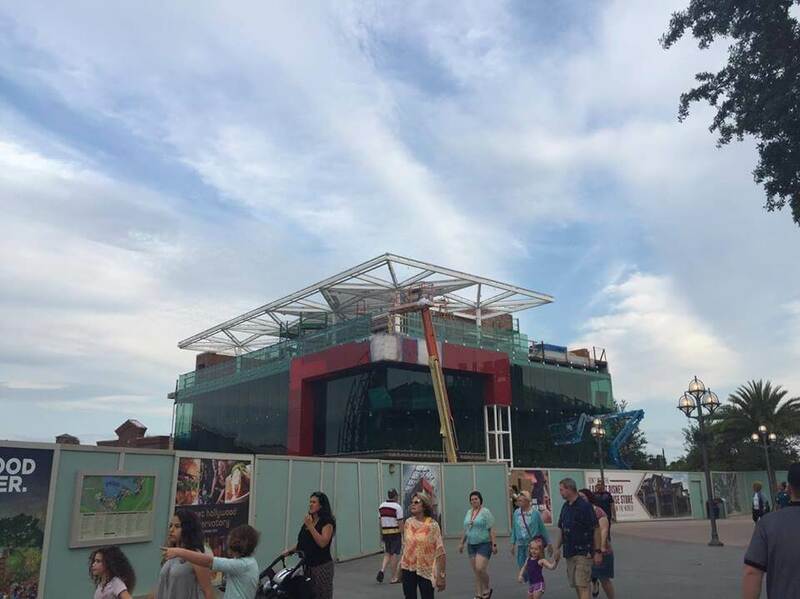 A new entrance to World of Disney store will open on Sunday too. 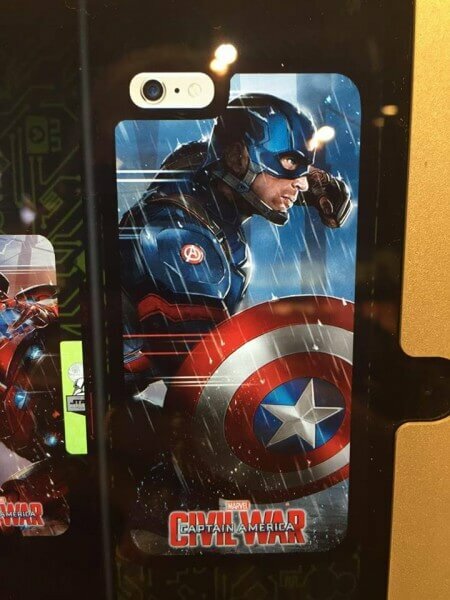 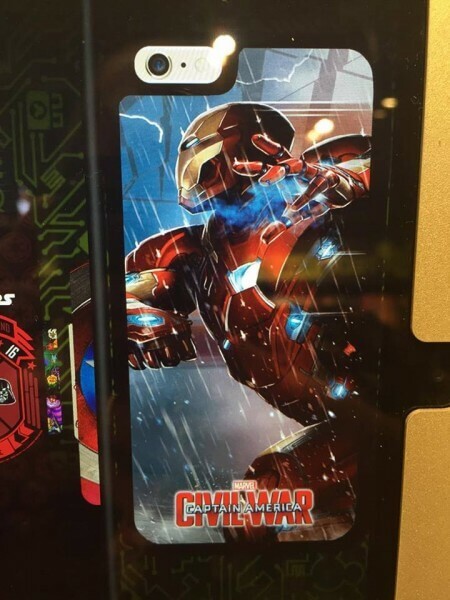 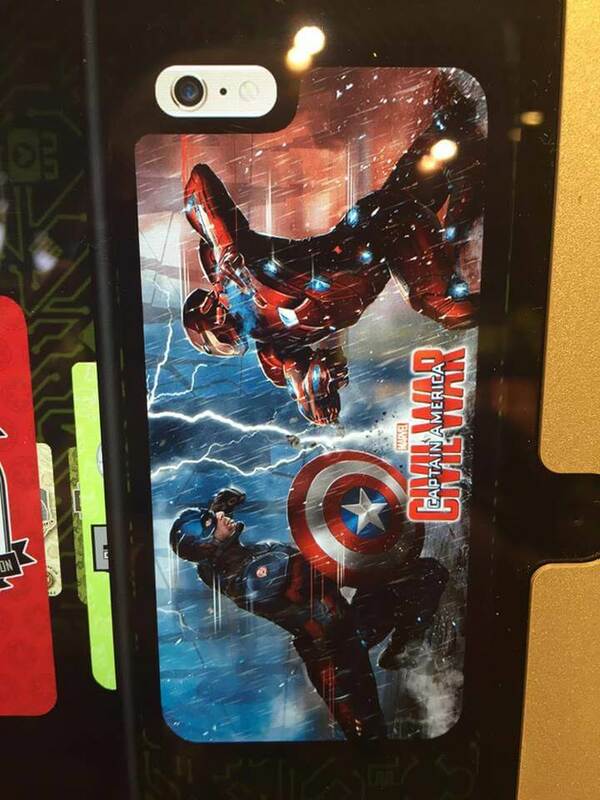 The D-Tech on Demand store inside Marketplace Co-Op has some new Captain America Civil War cases. 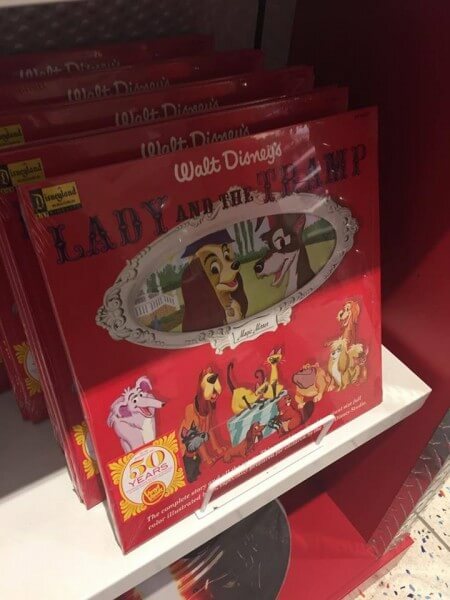 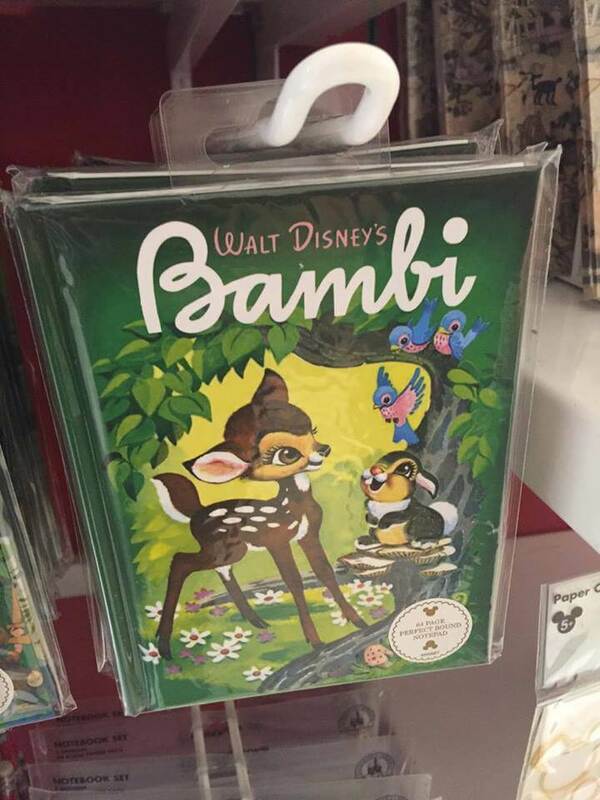 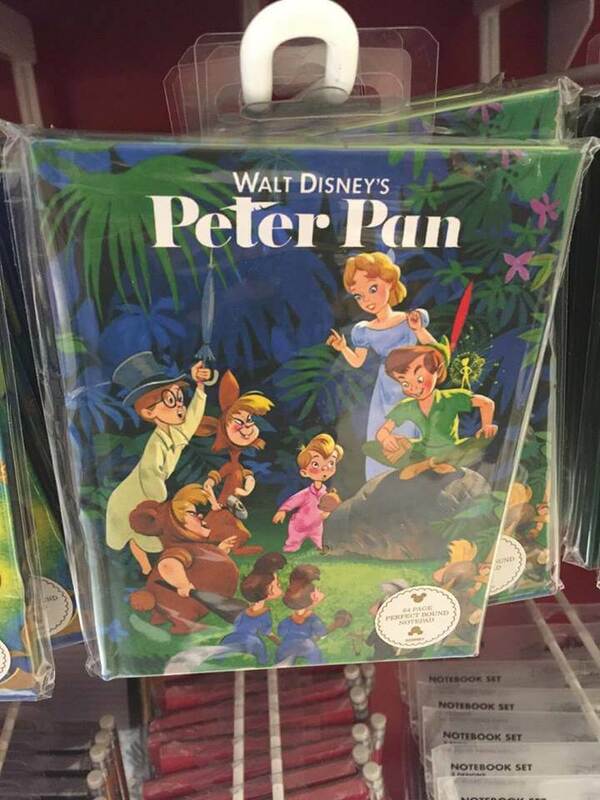 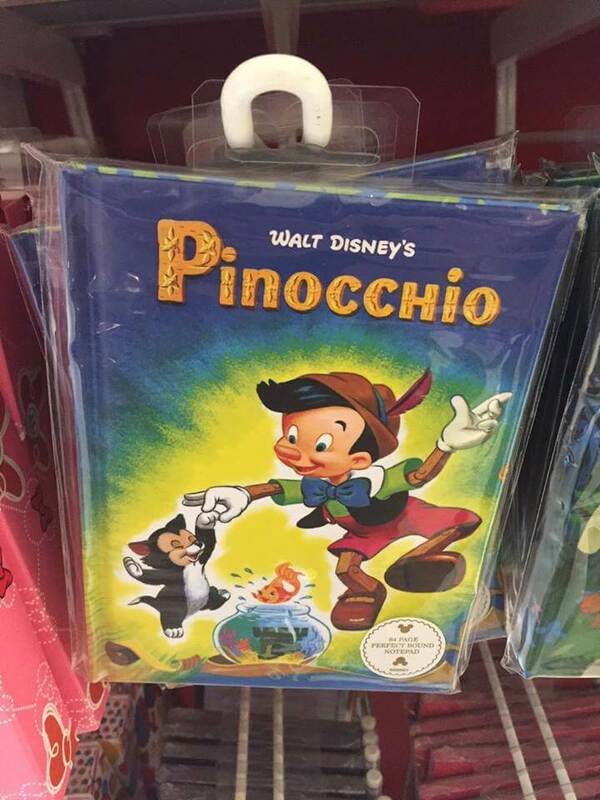 New vintage looking vinyl records have started popping up in the shops. 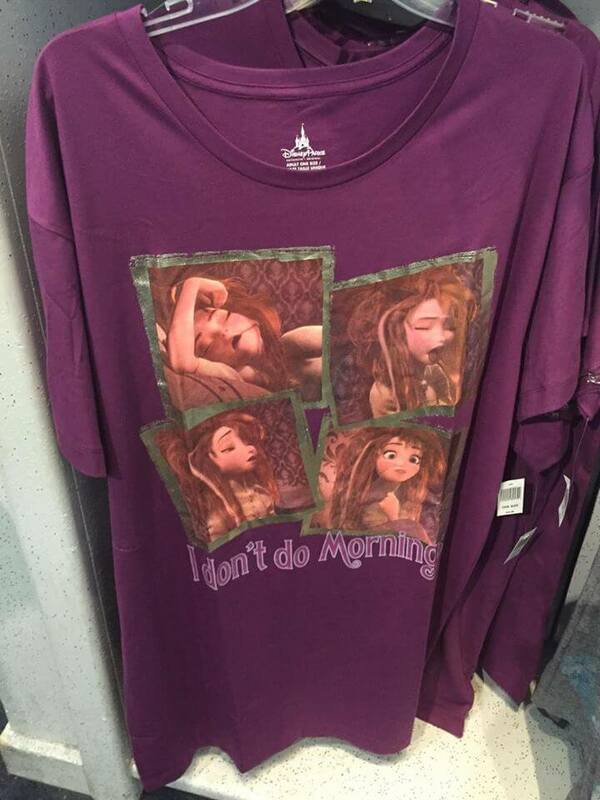 A funny new Frozen night shirt. 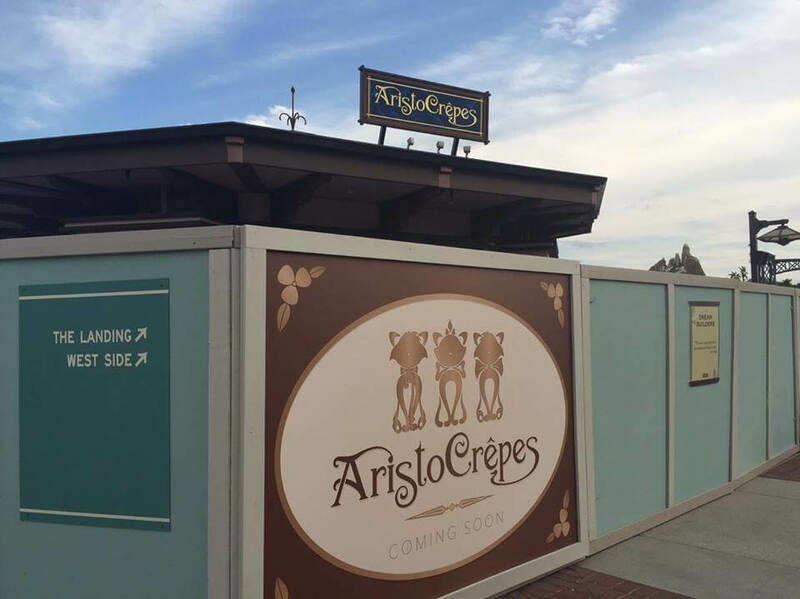 Aristocrepes, that opens May 22nd, finally got its sign up. 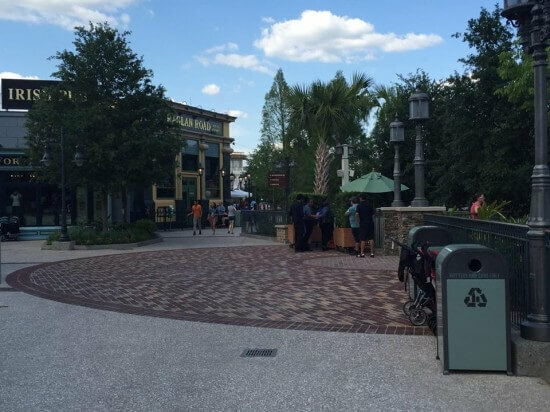 That’s it from our trip around Disney Springs! 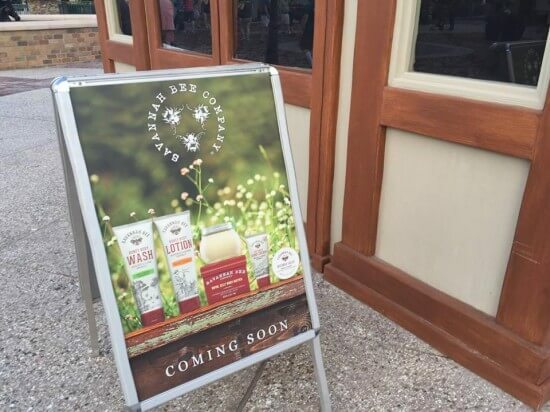 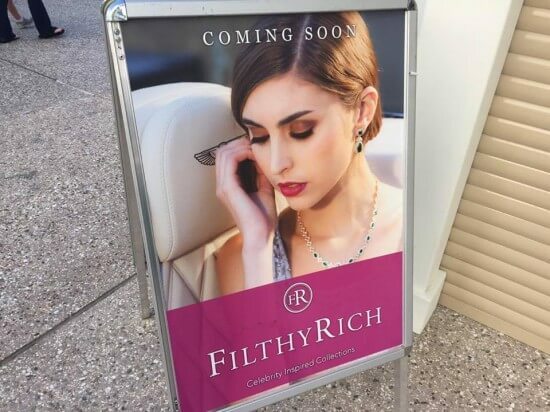 Make sure you come back on Sunday when we will be checking out the opening on Town Center. 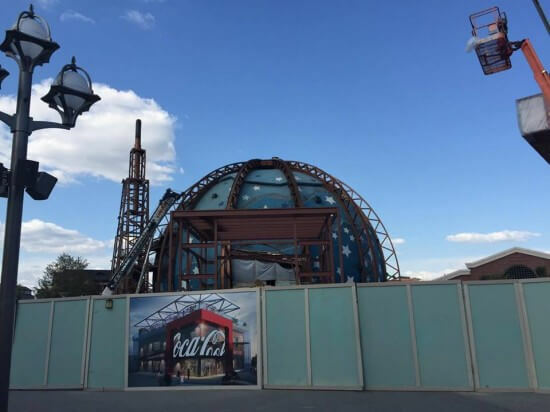 Was hoping the Coca Cola store would be open by the time we were there Memorial Day weekend but it doesn’t look like that’s going to happen. 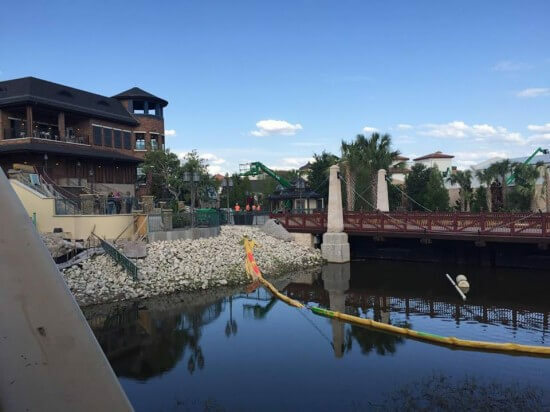 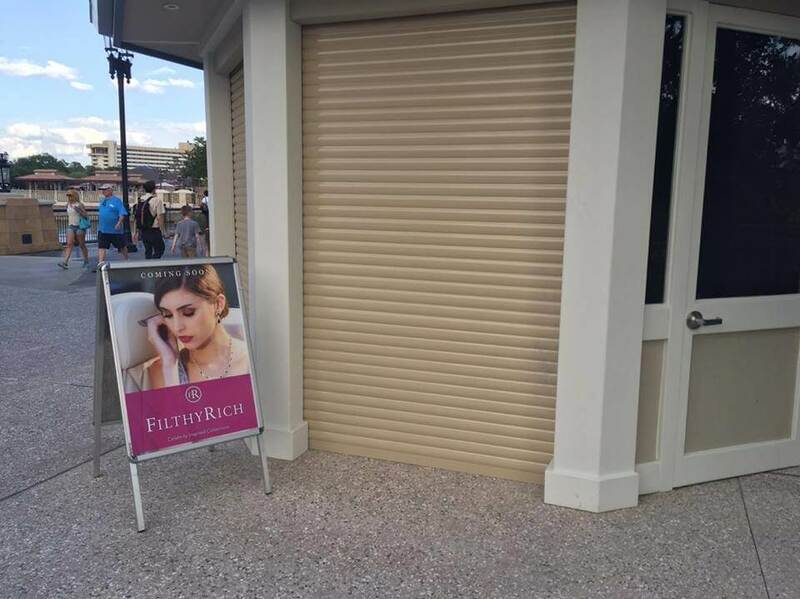 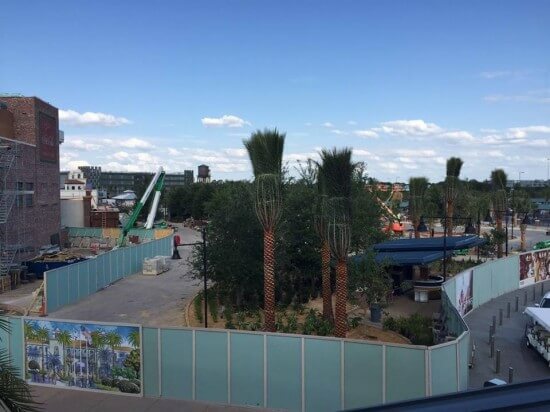 🙁 Great update though on the rest of Disney Springs! !